The Banta Bowl sports complex of Lawrence University in Appleton, Wisconsin, has served the students and athletes of the school for nearly 50 years, but the time had come for the legendary venue to receive a dramatic makeover. This extensive renovation expanded the stadium to house a regulation NCAA-sized soccer field, serving both men and women’s soccer in addition to the men’s football team. Overall improvements included new bleachers, lighting, scoreboard and an upgraded dual-sport synthetic field. Fans entering the Banta Bowl now do so through an inviting plaza on the north end of the stadium. An expanded press box allows coaches to watch the game comfortably within the stadium rim. 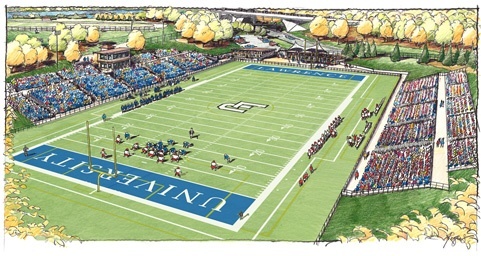 The centerpiece of the new construction was to house locker room space for the Lawrence University Vikings, concessions, ticket sales, public restrooms, and storage. To usher in this new era of Viking athletics, lead architect Brad Kwasny of Bray Architects, looked to an innovative new product to accomplish multiple construction tasks in a single assembly by selecting the InsulTech™ Insulated Concrete Masonry System (ICMS) for the new structures. An offering of the Echelon product line from Oldcastle APG, A CRH Company, the InsulTech System offers continuous insulation, moisture management, wind and fire resistance. 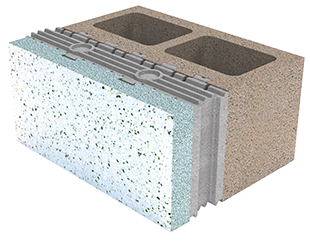 Additionally, the system incorporates interior and exterior aesthetics in one assembly by combining a structural CMU and molded insulation insert with a thin veneer face. “It was one of those situations where we were looking for speed of construction within a limited space, with a limited budget,” said Kwasny, who was introduced to InsulTech by a co-worker. Once the masons got into a rhythm of working with this new system, it installed much more quickly than the traditional way of laying the CMU, then spraying insulation, and then adding a veneer. The finished wall also took up significantly less space. 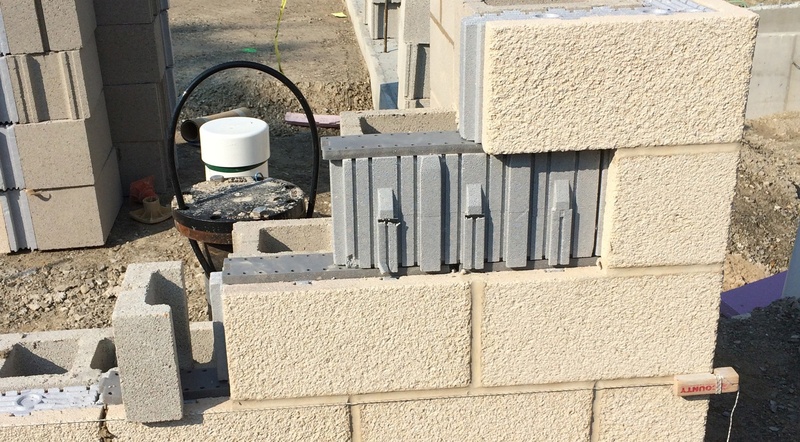 To help with the learning curve, an Oldcastle APG technical advisor worked directly with the masons on installation practices specific to the InsulTech system. “He didn’t just watch; he jumped right in and helped,” said Kwasny. What can our masonry systems do for you? Read more in our guide to manufactured masonry thin veneers for ideas and inspiration, then give us a call. We’d love to jump right in and help!